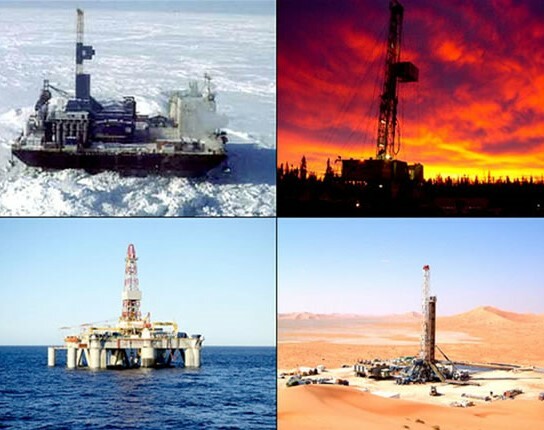 From exploration to well stimulation and fracking, the downhole oil & gas sector is exposed to a combination of severe corrosion and strength issues which requires specialty materials fasteners such as Hastelloy, Inconel and MP35N. Some of the harshest corrosion encountered occurs during fracking or acidizing where sulfuric (H2SO4), hydrochloric acid (HCl) or hydrofluoric acid (HF) is used to stimulate the well. Furthermore H2S, commonly known as sour gas, is a naturally occurring byproduct of oil drilling and exploration which is also creates highly corrosive byproducts. These corrosive conditions are further amplified by high operating pressures found in deep and ultra-deep wells. Since oil and natural gas is also found in porous rocks and shale in saltwater environments, chloride corrosion can also be an issue. Geothermal wells also contain brines which are made up of corrosive chlorides, siliceous compounds and gases, such as carbon dioxide, and Sulphur. MP35N is the highest strength material we offer with an ultimate tensile strength of over 225 – 290 KSI. This material is not only very strong but also quite corrosion resistant as well.